Whether you’re at a corporate networking event or find yourself in a room full of creative professionals, there are a number of ways that you can go about breaking the ice with new people you are meeting. Here are some tips you can use to help make that awkward first introduction, a little less awkward. Through sharing an experience that is relevant to the person, or people, you are speaking with, you are able to build trust and set a foundation with your new connections. By sharing a story, you can garner the opportunity to relate with new people on a more personal level, and in a more relaxed and casual manner. If you’re at an event where you are with people from the same industry, it’s a great idea to share your experiences about certain roles or job positions so that others can learn from your personal understandings and you can learn more about theirs. Two truths a lie is a popular icebreaking technique that you can implement at almost any social situation. With two truths and a lie, each person in your group take a turn and share with everyone two facts about themselves which are true and one personal statement that is untrue. This exercise is an effortless way to get to know your new connections, as you don’t need any supplies or extra equipment to play; all you require is a bit of imagination! Another simple icebreaker activity that you can use when you’re networking with new people is to play a game where you invite your connections to share what first comes to mind when you mention a prompt word, such as “travel”. This word could be anything! It could be a colour, a location, a website, or even a name. This simple icebreaking technique is great to use in order to start spontaneous conversations. Desert Island is an icebreaking technique where you ask people what three items, or which three people you would bring, if you were stuck on a deserted island. Desert Island can be used to ascertain certain similarities and common interests with your new connections. Whether played in pairs or within a larger group, Desert Island provides you an effortless way to not only get to know others, but also get to know yourself a little better! Looking for a place to host your after work drinks? 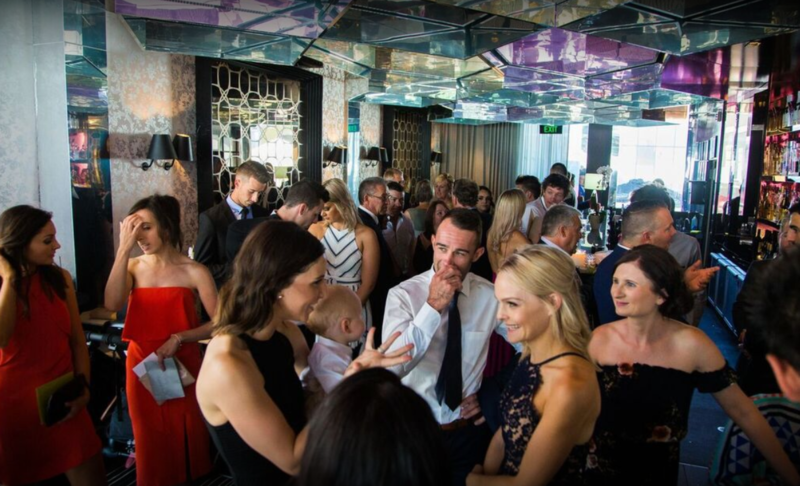 Contact our team on (03) 8199 3733 or email us to discover the Melbourne’s most premium venues to ring in the weekend!